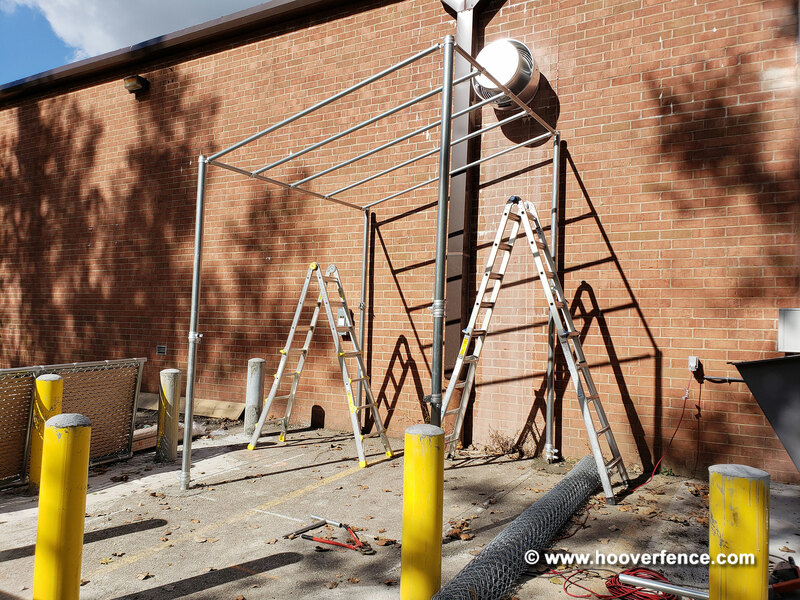 DAC Industries Chain Link Strong Arm Latches for Double Gates | Hoover Fence Co. The Strong Arm Double Gate Latch eliminates the need for a drop rod. 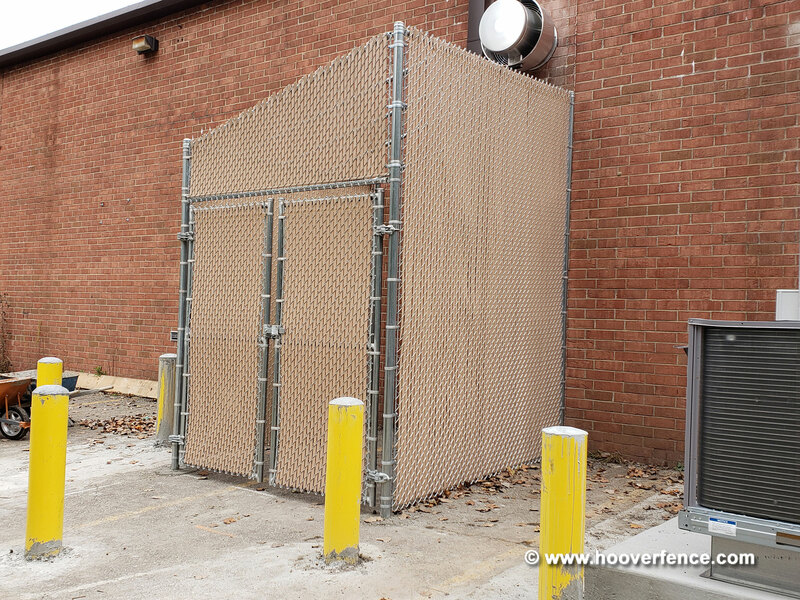 It's easy to install, and will securely latch double-gates and keep the gate in-line with the fence. Residential Strong Arm latches are adjustable for gates spaced 2" to 4" apart and fit 1-3/8" gate frames. 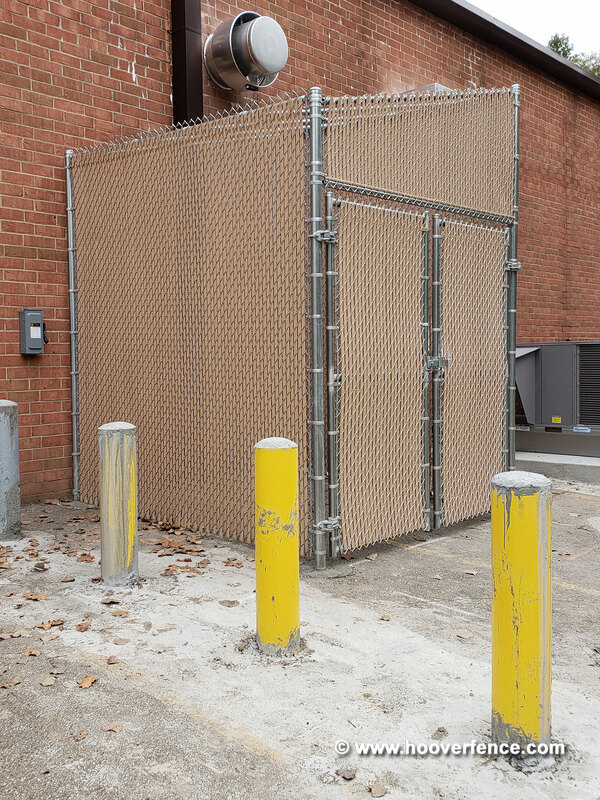 The Commercial latches for round frames are adjustable for 2" to 6" gaps and fit both 1-5/8" and 2" round gate frames. The square version also adjusts for 2" to 6" gaps, but is designed to fit 2" square gate frames. For extra security the latch can be thru-bolted or welded to the gate frame. Latch is proudly manufactured in the USA which is perfect for all projects requiring domestic fittings. DAC-4138 1-3/8" Round 1-3/8" Round 3.5 lbs. DAC-4000 2" Round 1-5/8" and 2" Round 9.0 lbs. DAC-4090 2" Square 2" Square 8.5 lbs. 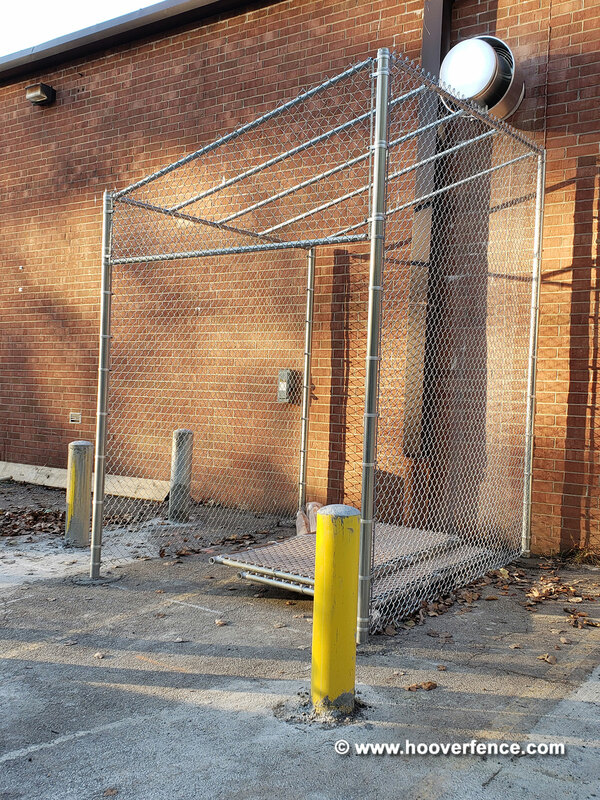 Here are some photos from a recent installation in Akron, OH featuring an outdoor chain link security fence with a pitched roof. 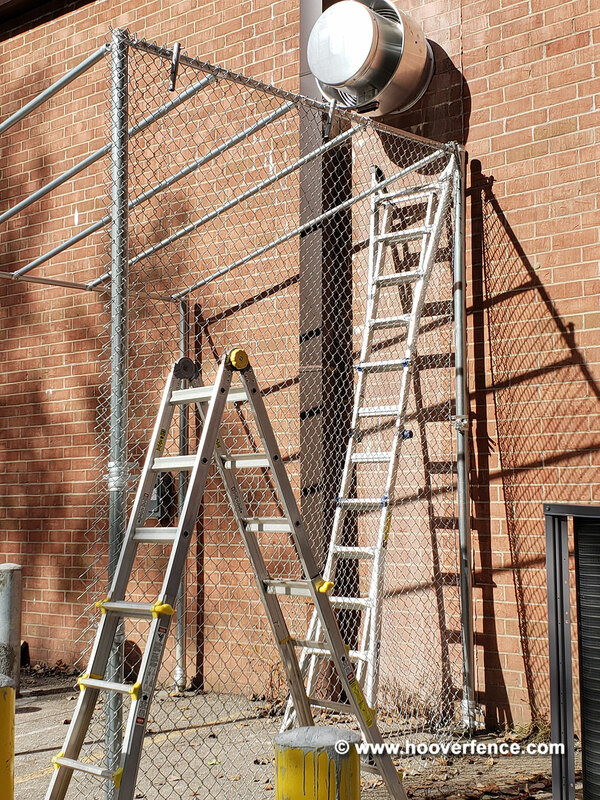 Extra security and privacy is achieved with Lock-Top PVC Slats. 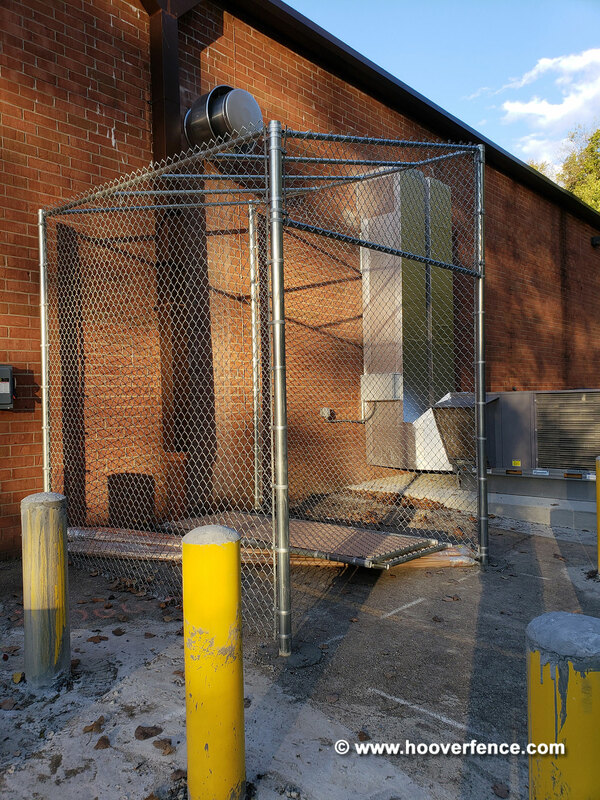 Users gain access through a double chain link swing gate, hung with malleable industrial arm hinges, and secured with a robust DAC Industries DAC-4000 double gate latch, which eliminates the need for a drop rod.